When I taught my ESL Social Studies classes, I did not do anything special for Women’s History Month because it was hard enough to teach everything in the curriculum frameworks that I was supposed to follow. But I try and infuse my classes with information about women in history during my regular lessons. One way I did this was through my classroom library. Whenever students had extra time, because they’d finished a task early, I directed them to the rack on my counter that held a selection of books related to the topic they were learning about and told them to pick a book and read it. I also used these books for teaching, in particular when covering Native Americans and Meso-American history and when I came to the Revolutionary War, because I had lots of books about people who were important during those time periods. I had my students choose one book, read it, and then write a biography of the person. Depending on the proficiency level of the students, sometimes I gave them a framework for writing a paragraph. If they were more advanced, I had them take notes on index cards and then transform their notes into a composition. For my elementary students whom I taught English Language Development instead of Social Studies, I had books at a ranges of levels from beginning to advanced on a wide variety of topics. Students could choose from these books if they finished an assignment before the rest of the class or when I wanted them to do some independent reading. All the books listed below are books from my classroom library that I used with my students. 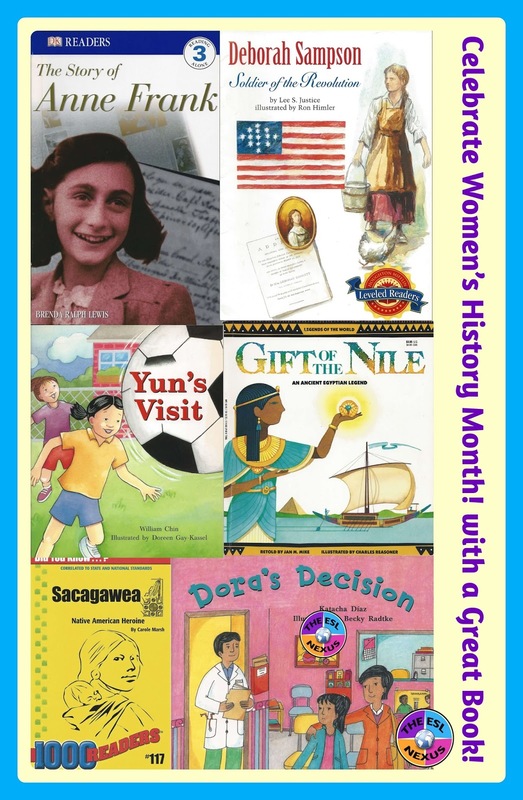 They all have a girl as the main character so they are appropriate to use during Women’s History Month in March but you can use them anytime they fit into your curriculum. Some of the books are fiction but the majority are biographies of famous women. I’ve indicated the language proficiency level they are appropriate for; most are aimed at intermediate ELLs or higher because that was the level most of my students. Use this book to discuss American customs of sleeping and eating at friends’ house and difference between cultures about these common American activities. For low intermediate, possibly high beginning ELLs. 16 pages. This is about a girl who is afraid of getting her tonsils out; what’s nice is that the girl and her family are Hispanic, as is her primary care doctor. Use this book to teach about hospitals and also about communicating with parents when not feeling well. For low intermediate ELLs. 32 pages. You can use this book to supplement your teaching about Ancient Egypt and/or to discuss friendship and the rights of pharaohs. It includes 1 page of background info about ancient Egypt at the end. For high intermediate ELLs. 32 pages. With color and black-and-white illustrations and photographs, and reflective questions at the end, you can use this book when teaching about the Puritans or the Salem Witch Trials. For intermediate ELLs. 16 pages. When you’re teaching about Plymouth and the 13 Colonies, you’ll definitely want to use this book! It includes color photos, supplemental info in boxes on a couple pages, a glossary, background info about Plimoth Plantation and the girl who interprets Sarah Morton. For high intermediate ELLs only because of the old-fashioned style of speaking used in the text. 32 pages. Use this book when teaching about Native American history. It includes puzzles, questions, and tasks such as put events in order. 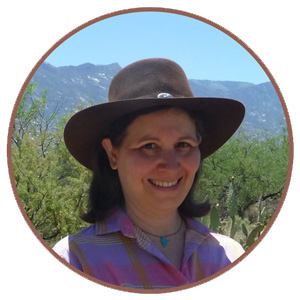 For low intermediate ELLs. 13 pages. This is a longer biography of this well-known Revolutionary War era woman that you can use when teaching about the War of Independence. For low intermediate ELLs. 24 pages. Here’s another book you can use when teaching about the Revolutionary War. It includes reflective questions at the end, with BW illustrations. For high intermediate ELLs. 16 pages. Use this book when teaching about the Revolutionary War. Includes reflective questions at the end, with black-and-white illustrations. For intermediate ELLs. 22 pages. Have you have heard about all of the women in this book about Revolutionary War heroines: Mary Catherine Goddard, Sybil Luddington, and Elizabeth Freeman? I hadn't until I read it! With color illustrations and photos, it includes reflective questions at the end. For intermediate ELLs. 16 pages. This is a graphic novel that tells the story of Harriet Tubman; 24 pgs. It includes a timeline of Harriet Tubman’s life and a glossary. For low intermediate ELLs. Please note that it refers to enslaved people as slaves. 24 pages. A brief illustrated history of the life of Anne Frank; good for lower intermediate ELLs reading about WWII or for whom the original diary is too difficult; includes glossary and boxes in text with historical details about Nazi Germany. 48 pages. This is her autobiography. It includes lots of photographs, an introduction by Harry Belafonte, and short recollections by Barbara Henry, Ruby’s teacher. You can use it when teaching about the Civil Rights era or during Black History Month. For advanced ELLs. 64 pages. And for some online resources about Women's History Month, click HERE to read the blog post I wrote last year. It includes resources for both teachers and students.